At AwareGPS, we focus on making the features you need easy to use. With 3G GPS vehicle tracking, and a sophisticated level of reporting, you can monitor your vehicles and improve driving behaviors that impact safety, efficiency, and costs. GPS trackers also help protect your vehicle from theft. With customized alerts, you can be notified whenever your vehicle moves during unauthorized hours or leaves a designated location. Custom dashboards and reports help you manage your business easily by tracking mileage, confirming arrival at and duration of visits to customers, and monitoring fuel expenses. With Aware GPS you will never pay for features you don’t need. Get nationwide 3G tracking coverage updated every minute for only $19.99/month with no contracts or cancellation fees. And our free mobile app helps you keep track of things when you’re on the go. Nationwide 3G Tracking updated every minute for only $19.99/month, no contracts or cancel fees. Activate 3G vehicle Tracking within 30 days of purchase, receive a free month of service ($19.99 Value)! Track vehicles in real time, replay daily routes, get unlimited alerts for unsafe driving and track vehicle maintenance. Start Tracking in minutes. Simply plug the Device into your vehicle's obd port, download the free mobile app and you're set. 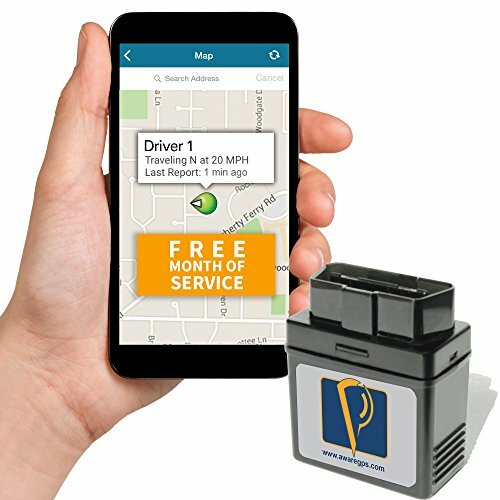 Prevent theft, reduce fuel usage, rate and rank drivers, monitor off-hours usage and more. Manage expenses with intuitive reports that make Tracking mileage, reviewing daily route history, and managing fuel expenses reliable and easy. If you have any questions about this product by Aware GPS, contact us by completing and submitting the form below. If you are looking for a specif part number, please include it with your message.